The GT-0515A is packed with features, and very spacious, being much more square than most of our rectangular cabins. 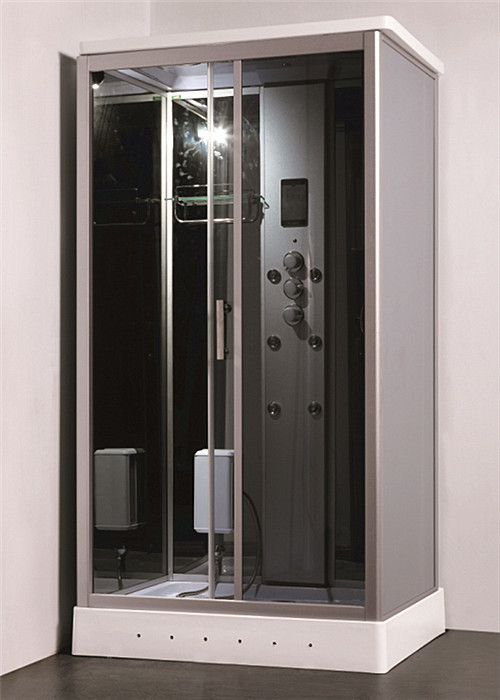 At 1200mm by 900mm, the interior of this shower is incredibly spacious, giving you that elbow room from all angles. 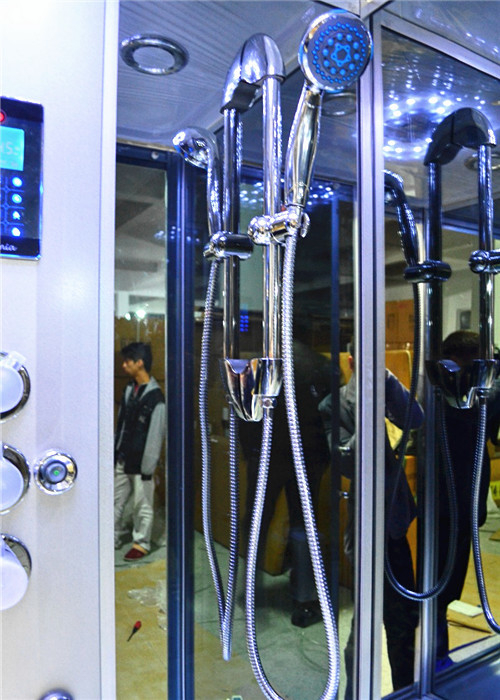 Inside the cabin, you have an overhead monsoon rain shower, which is surrounded by Chromotherapy lighting to brighten the interior. This is complimented by the mirrored back and side panels, making the internal lighting multiply by reflection. The microphone style hand shower is located on a back panel, on a convenient and easy to use riser rail, so you can choose the best height for you. You have a cluster of 6 hydro-massage jets in the column, situated perfectly to enjoy a relaxing back massage whilst sitting on the wood effect seat which is included as part of the package. Alongside the synthetic stool we have the synthetic wood floor to match the interior and finish off the aesthetics. The control panel, is a touch sensitive device, which has multiple features you can operate. You have the lights in the roof and the tray, the steam, FM radio function, volume and station search, and as a new upgrade, the Bluetooth connectivity. Wirelessly connect your music device to enjoy your own music or series of podcasts whilst you steam or shower.